Select a casino to play the games at, make sure you deposit to meet the welcome bonus requirement, and you are ready to spin the reels and take the shot of winning the maximum awards that this game offers! WMS Gaming brings one of the most popular board games ever to the online slots scene. 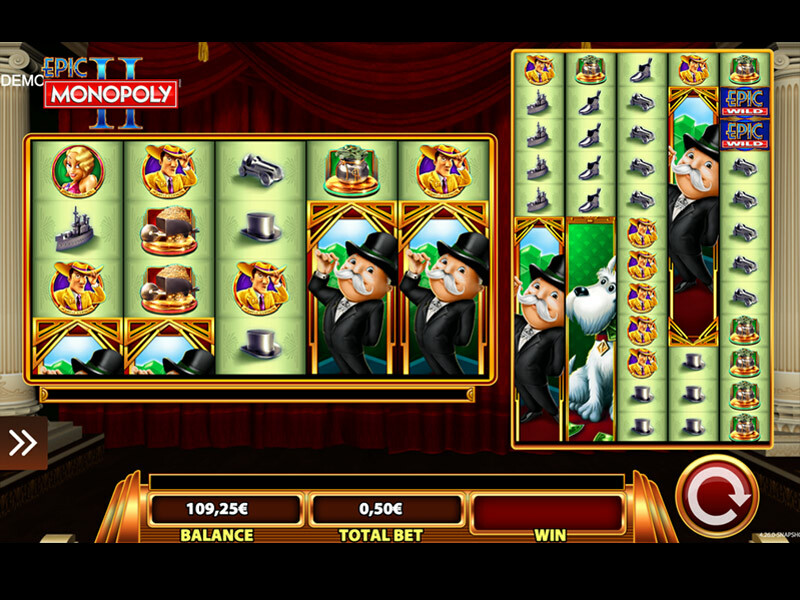 Introducing Epic Monopoly 2, five-reel slot game featuring a total of 100 paylines, across not one, but two sets of reels! You have a chance to spin the reels with denomination from as low as £0.01 up to £105.00 where the maximum amount that you can win in the base game reaches a multiplier of x100! Players from all around the world will agree that there are a plethora of online slots that are monopoly-themed, and this particular case of Epic Monopoly, we see that a second version is required to satisfy the thirsty slot players! When you launch the game, you’ll notice that it is closely based on the ever-popular board game. The background includes some pillars and a luxurious-looking red curtain which looks like a theatre and seems to go up as soon as the show starts. the reels are clad in the same green as the classic board, which are positioned in the middle of the screen. The left set of reels is a 4 x 5 grid while the right, the cascading one, is the 10 x 5 grid. 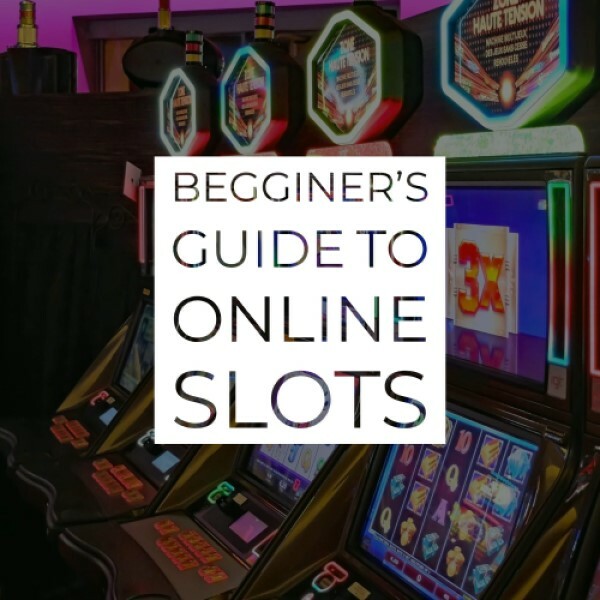 The top of the slot game is for the Logo of the game while the bottom is for the latest win, balance, total bet and all the adjustable features that can be found in the game. There are two arrows pointing right on the left-hand side which open up the menu of the game, and finally, if you want to spin the reels, the magical Spin button is located on the bottom right of the screen. The music also plays a pretty important part of the slot, making the slot feel like a theatre. The best thing about Epic Monopoly 2 is that there are no lower or higher valued symbols, and you will notice that as soon as you land on the reels of the slot game. You have the opportunity to land Mr. Monopoly himself, his dog, a male and a female character, the battleship, the hat, the boot, the cauldron and the car. Mr. Monopoly and his dog can also appear stacked on the reels. 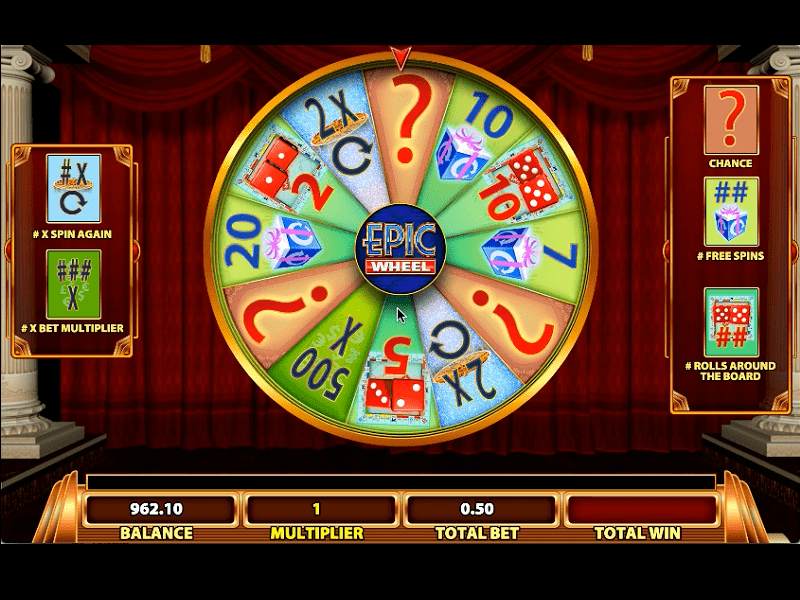 The Wild Symbol is represented by the ‘Epic Wild’ image, and this will substitute for all others bar the bonus icon, which is an image of the Monopoly board and only appears on reels one, three and five, on both sets. The Scatter Symbol activates the bonus featuer of the game. As mentioned, the Epic Monopoly 2 slot features two sets of five reels, both operating independently, except when a full reel of wilds is landed on the left. The colossal reels on the right will then also turn wild. If you want to spin the reels of this online slot game, you need to select some of the casinos that are located on the right-hand side of this review. The casinos are important because the players pass a lot of time on the pages, they have their unique welcome bonuses and possess the games. They are also responsible for the deposit and withdrawal of the players’ money, so you better pick a casino that suits your needs the most. The casino on the top is our best one, so if you have some hesitation, go for that one. Players can spin with a minimum denomination of 0£.01 and a maximum of £105.00, so we’d say that this Online Slot Machine is more suited to players with a higher budget and the ones that would like the adrenaline rush. There is always room for the people that are here for the fun and excitement of the slot, and the ones that want to play with a lower budget. Since the Max Win in Epic Monopoly 2 Slot is a multiplier, it’s always smart to play with as high denomination as your budget allows. This is where the Bet Max feature comes in handy. 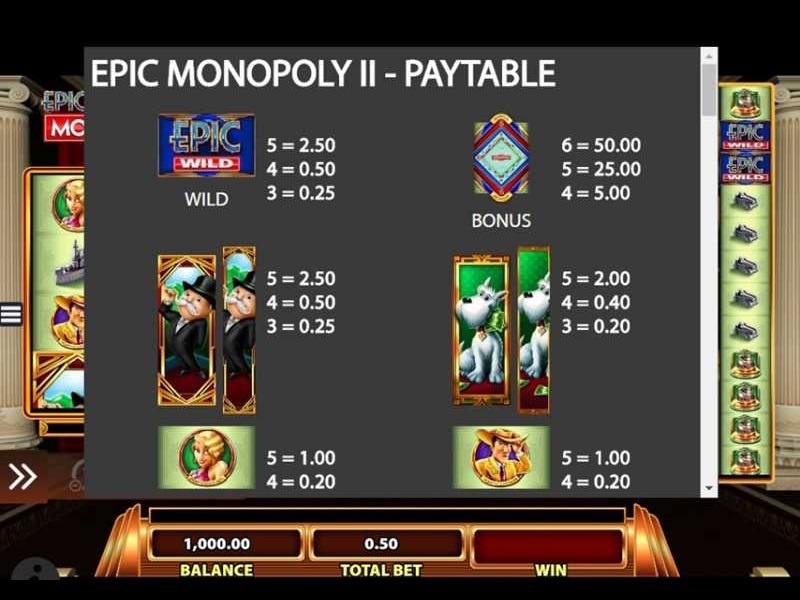 It sets the wager, coin value and level of the game all the way to the maximum, and it also activates all of the paylines of Epic monopoly 2 Slot. Be careful with this feature, as it may seem like a big bite, it can lose all of your money pretty fast, so either come up with a plan or a limit to your cash or completely neglect the feature. On the other hand, the Auto Play feature is here for the players that like to play with a more relaxed approach to the game. This feature sets the reels of the slot spinning automatically, with you only set the denomination and the number of auto spins. You can go AFK, make yourself a nice cup of tea or do whatever you want while the Auto Play feature fills your stake with lucrative wins. You can always cancel the feature and continue with the manual spinning. There is one Bonus Feature in Epic Monopoly, and it’s the Free Spins round – the all-time favourite to all the slots players around the globe. The RTP or Return to player is an important metric in the slot games. It has been around since the slot machines were getting popular, as a tool for regulations and a guarantee that the players won’t get cheated. The RTP is always displayed in percentage, and if you want to find out more about the RTP check out our Detailed RTP Guide, where you can also see some of the best RTP games online. This is by far more than the online slots average, meaning the company returns more money to the players than other games and keeps just short of 4% for themselves. The rise of the mobile device as an everyday object in use by every single human has managed to make a pretty obvious impact in the online casino world. 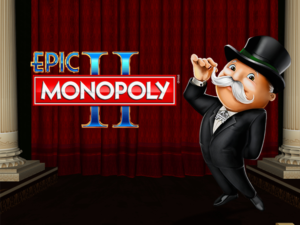 The need for all games to be compatible for mobile rises, and therefore, we are happy to say that Epic Monopoly 2 can be played on Mobile, regardless of the operating system which you are using (Android, iOS, Windows). It can also be played on a Tablet, Lap Top or PC, and basically allows you to play from wherever you fancy doing so. The Epic Monopoly 2 slot game offers players something a bit different to many other slots, in the sense that this game has two sets of reels and bonus games within the main one! The gameplay is generally smooth and said bonus features are a nice addition to give players the chance to win some added rewards! With an RTP of 96.01% and awesome gameplay, who wouldn’t want to see this board game in action?